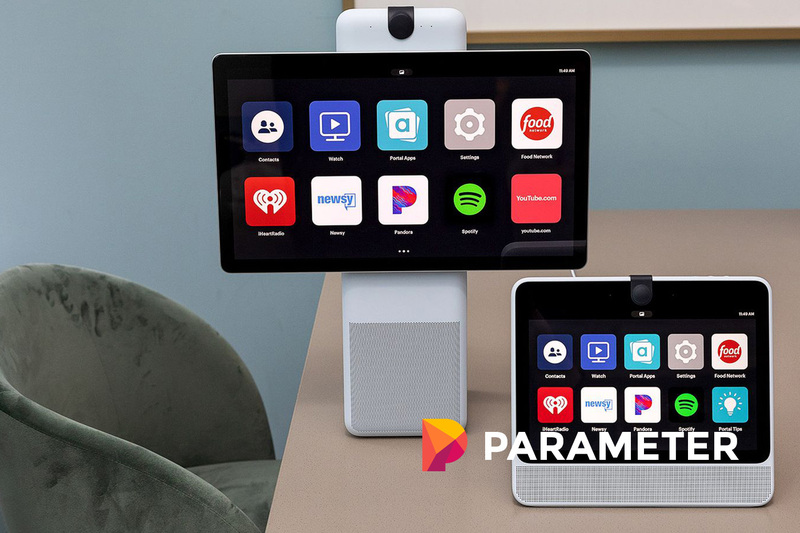 The Facebook Portal, announced a couple of weeks ago in San Francisco was officially released today. For $199 USD you can buy the traditional 720p 10.1-inch Portal, and for $349 you can get the more substantial, 1080p 15.6-inch Portal Plus, according to The Verge. While Facebook’s approach to a smart display device isn’t the first, it’s a viable entry into the market. Both devices have quality plastic material. The screen is nice and bright, touch is responsive, and the speakers produce quality sound. Plus, the larger model can rotate 90 degrees thanks to its dock. Amazon and Google getting to market ahead of time did Facebook no favors, but it enabled people to get used to the concept of a privacy-invading machine in their home. However, unlike Amazon’s Echo Show, Facebook’s device mostly serves as a video receptacle for its Messenger App. That said, it suffers regarding a traditional smart display. Besides essential VoIP functions such as video and audio calls, the Portal’s app selection is relatively limited. Other than content native to Facebook – Spotify Premium, Pandora, and iHeartRadio see support as well. Additionally, the Portal doesn’t support most video streaming services, with the exception of a half-baked YouTube web app. Otherwise, Newsy, Food Network, and Facebook’s Watch have support. There isn’t Netflix support or a way to watch Hulu. Amazon Prime doesn’t exist here, and there are no casting options. You can’t even read your Facebook feed from it. More features will come over time, of course, but this is a weak initial offering. 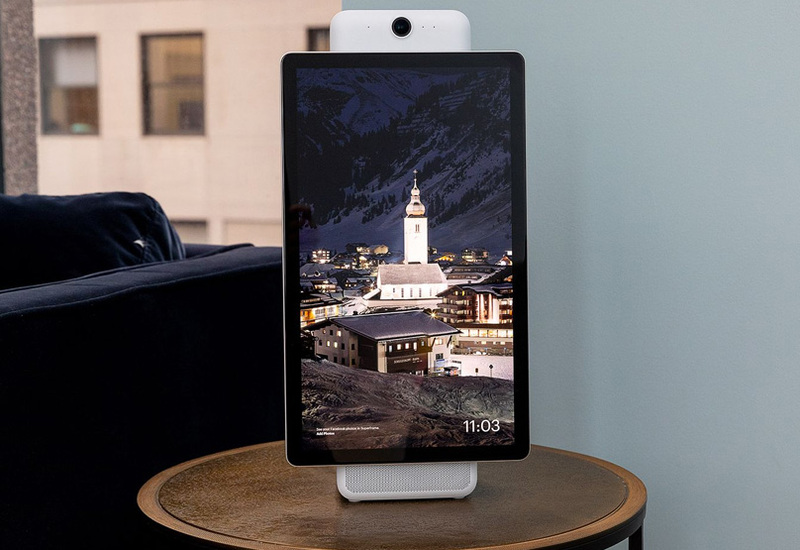 This is Facebook’s first entry into hardware aside from the rumored Facebook Phone. The headlining feature is the Portal’s ability to follow and track subjects in a physical environment on the Plus model. Its camera has a 1080p sensor with a four-microphone setup that can pick up inputs from 360 degrees. Its sensor is 12 megapixels, can see 140 degrees at once, and has up to an 8x zoom. These features ensure the Portal can track you walking around the room. No other smart display can do that. While Facebook claims it isn’t using face-tracking technology, it can track human shapes instead. This hands-free feature is called a “Smart Camera,” and it will change the way people approach video calls. Those who walk around while speaking can feel comfortable using the Portal. Also, the Verge reports that Messenger video and audio quality is much higher than on traditional devices. That includes Apple’s FaceTime. The sound is thanks to “virtual microphones” created by the Portal. These connect to each person on the call so their physical device can take advantage of it. Portal to Portal calls can play music together – each device controls its own volume. Users can utilize Facebook’s augmented reality skins similar to Snapchat and Instagrams. Most interesting however is the child-focused “AR storytime mode.” Here, the device contains children’s stories with music and animations. Parents can then read the story from wherever they’d like, though only with another Portal device. Unfortunately, this feature doesn’t work with standard mobile phones. Similar to Alexa, the Portal has voice commands to make a call or change volume from a distance. You can tell it to check the weather as well, but that’s about it for voice. For such a massive device, there isn’t a lot to justify it being in your home. Regarding privacy, Facebook included a mute button that stops both the camera and the microphone. There’s also a plastic cover to slide over the mic if desired. Facebook claims there are no privacy violations here, but we’ll have to wait and see if that’s true. Right now, the Portal is merely a music playing and video calling device. It’s a gorgeous piece of hardware, but there’s almost no reason to buy in right now. You’re much better off with an Amazon or Google smart display for the time being.